If you’re having the Base System Device driver problem, don’t worry. You can update the driver with one of the methods below. 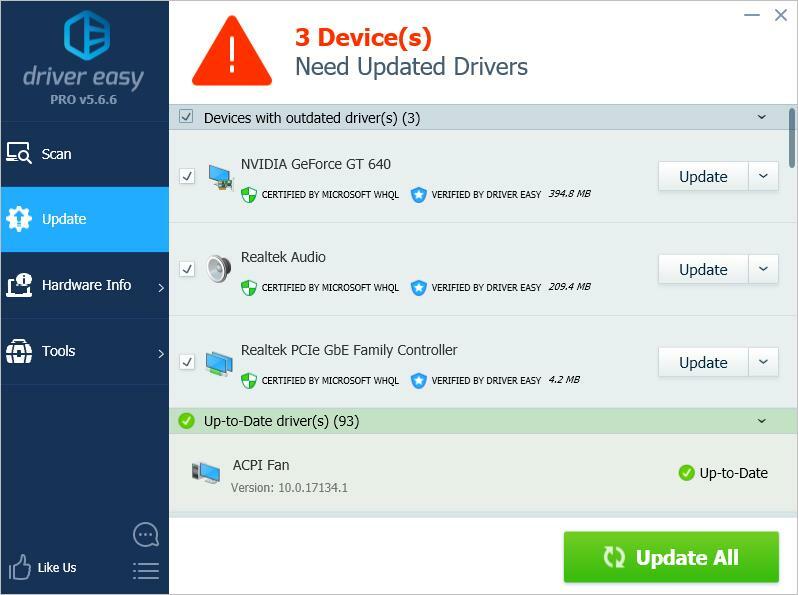 We’ve included three methods you can use to update the driver. 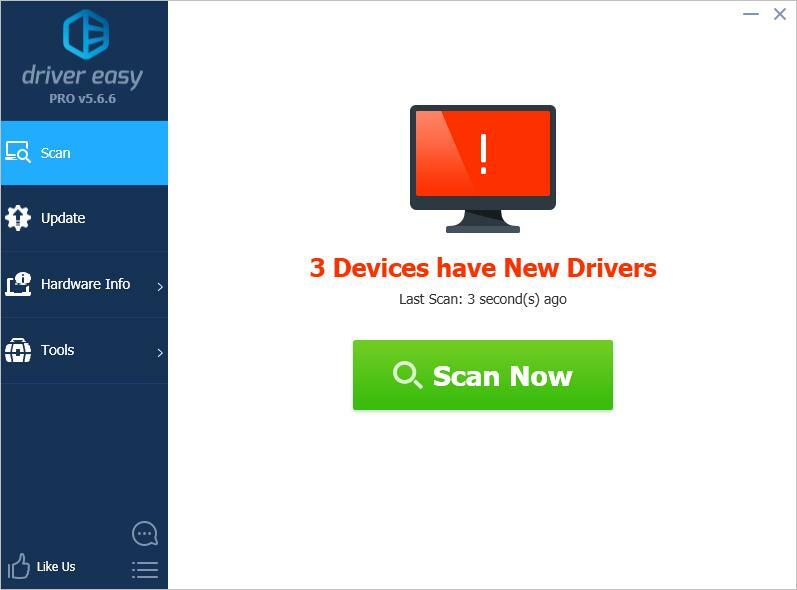 Just choose an easier method to update your Base System Device driver. 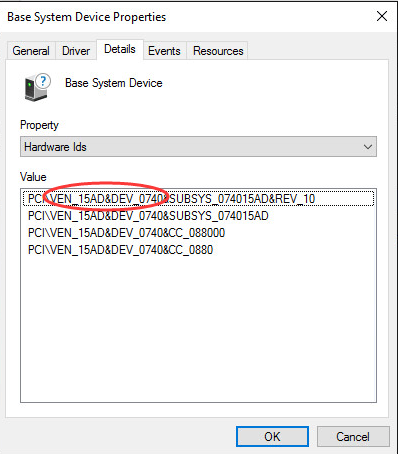 If you see more than one Base System Device, update one of the methods above to update the driver for each item. 3) Click the Update button next to all flagged devices to automatically download the correct version of their driver, then you can manually install it (you can do this with the FREE version). 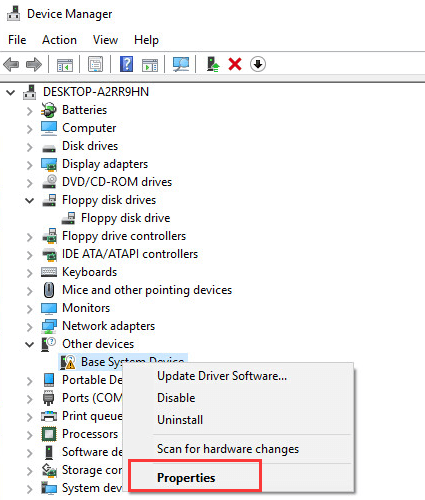 4) After updating the driver, check to see if you still see the yellow mark in Device Manager. 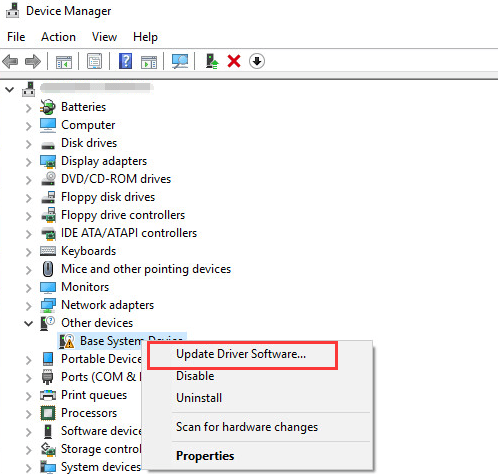 1) In Device Manager, right-click the device and click Update Driver Software…. 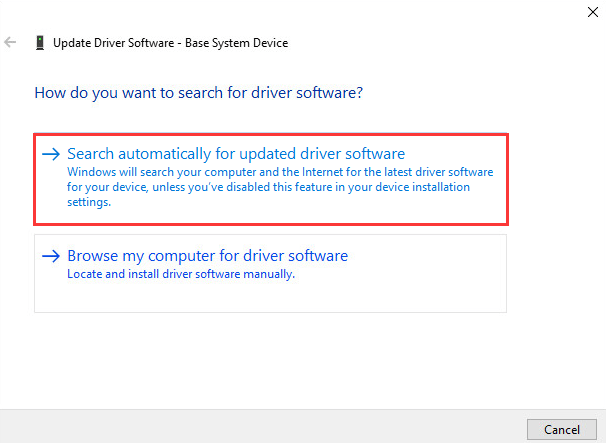 2) Click Search automatically for updated driver software. Then Windows will search and find the driver for you. If this way doesn’t work for you, you can try another way. Usually, you can go to the device manufacturer’s website or the PC manufacturer’s website to download the latest driver. 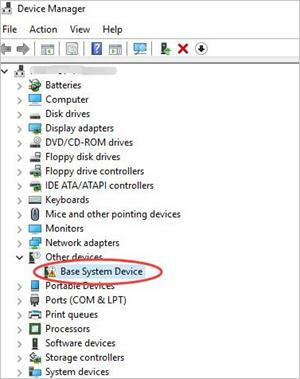 But for Base System Device, it is impossible to know what the specific device is. The good news is you can get its device name and its vendor name to determine what it is. Follow steps below to get the device name and its vendor name. 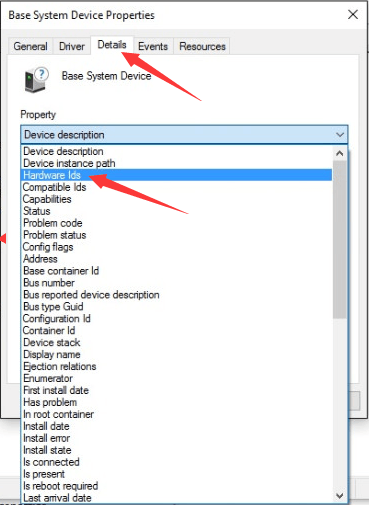 1) In Device Manager, right-click the device and click Properties. 3) Click the Details tab, then select Hardware Ids from the drop-down menu of Property. 5) Go to https://pci-ids.ucw.cz/. Then you can use the VEN code and the DEV code to what the Base System Device stands for. After you figure out what the device is, you can go to the PC manufacturer’s website or the device manufacturer’s website to download the driver. It’s recommended to go to the PC manufacturer’s website first, as they may customize the driver. Hopefully you can update the driver successfully with the tips above. If you have any questions, please feel free to leave your comments below. We’d love to hear of any ideas or suggestions.